Small, fast and flexible - the Mastercycler ep PCR system meets all the latest requirements of quantitative PCR applications. Extremely fast temperature ramping, short detection times and intuitive assay programming translate to huge time-savings so that more experiments can completed per day-always with accurate and reliable results. It′s flexibility is beyond compare-this completely open system allows you to use tubes, plates and reagents of your choice. This Mastercycler features thermoblocks with fast heating and cooling speeds. 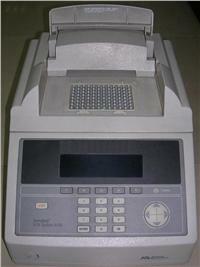 Also, equipped with ESP (Electronic Sample Protection) a unique heated lid technology which minimizes unspecific annealing and avoids preheating of samples. The Mastercycler EP Gradient S is reliable, precise, fast heating and easy to program!